A screenshot from the Geography Section, but the English section is good, also! 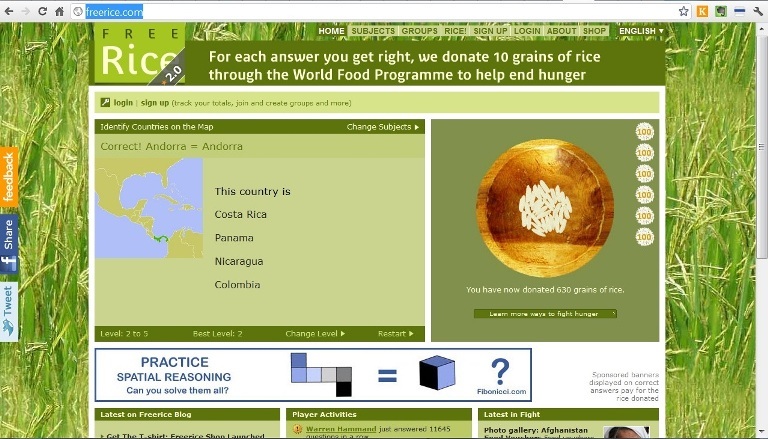 It’s connected to the World Food Programme, and you can take various online quizzes for free. 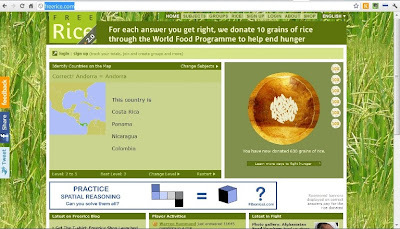 For every answer you get correct, they donate 10 grains of rice to the program. It’s pretty fun, actually, and if it all works out like it’s supposed to, it’s also a good cause (even though rice is one of the most boring foods there is). You can take different quizzes, but my favorites are the Geography ones. For my English students, I’d obviously recommend the English section, which includes English Grammar and English Vocabulary.